The age old question of “Where should I bring my date for dinner?” LaBrezza at St. Regis may not be your choice of a first day dinner (it’s too high class for the uncertainly in a partner) but could be one to celebrate important dates like month-saries and anniversaries. 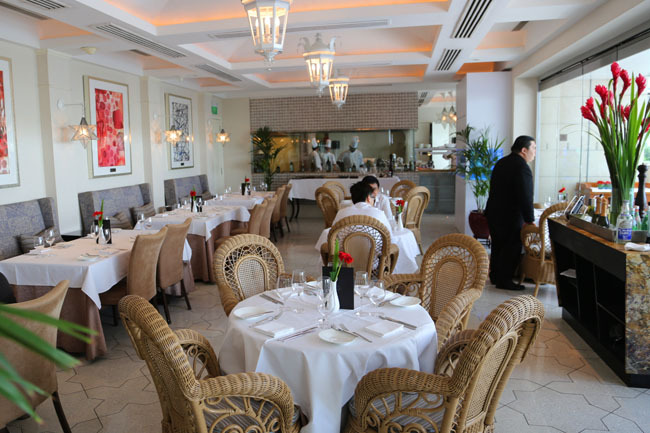 It has some elegant touches – set in a branded luxury hotel of St Regis, the restaurant is right next to a pool, has a semi-casual classic setting, serving fine trattoria-style Italian cuisine. Mamamia. Yet, the vibes do not feel overly high-end, comfortable enough for a business lunch at more affordable prices of $38++ or $48++. 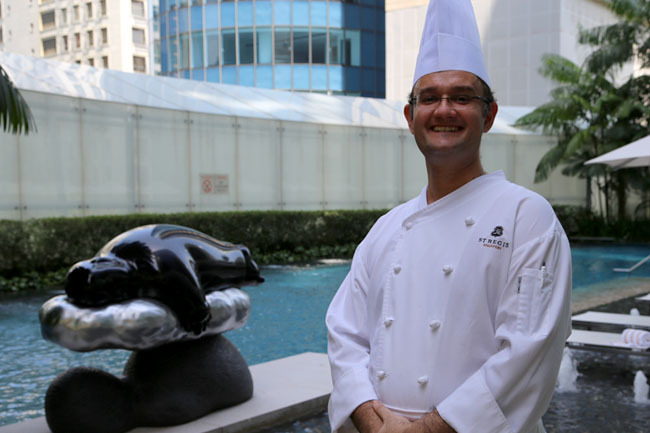 The all-new ala carte menu is created by Chef de Cuisine Stefano Arrigoni, a jovial man who brings about distinctive styles from various regions of Italy with some contemporary interpretations. 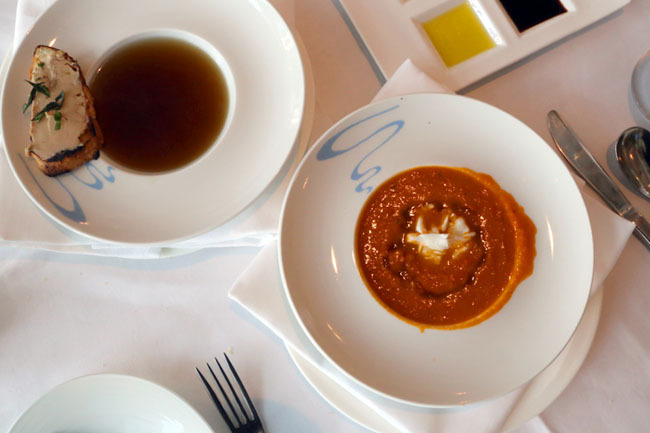 There are some of the usual appetizing sounding dishes – Homemade Burrata filled with Tomato Datterino ($48), Mozzarella, Italian Sausage and Shaved Black Truffle thin-crust Pizza ($39), and Grilled Dutch Veal Rack marinated with Mediterranean Herbs ($46). 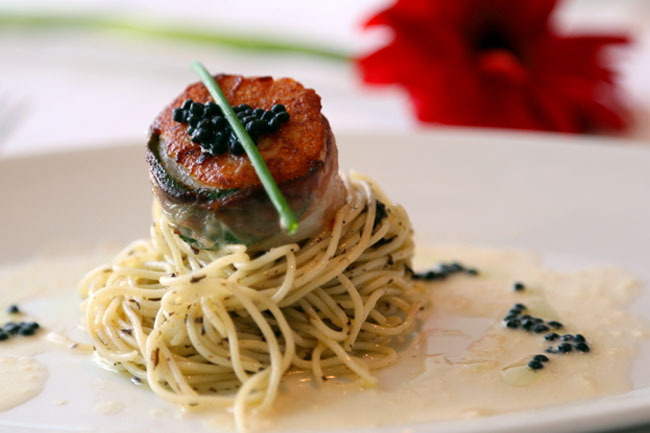 Some of the dishes that may take your breath away… the Pan-seared Hokkaido Scallops wrapped in Pancetta with Truffled Angel Hair Pasta and Caviar Sauce ($32). The price jumped at me a little. I did find something chewing on the succulence of the scallop, but I wondered about the price for a long time as well. Reminder, this is St Regis. 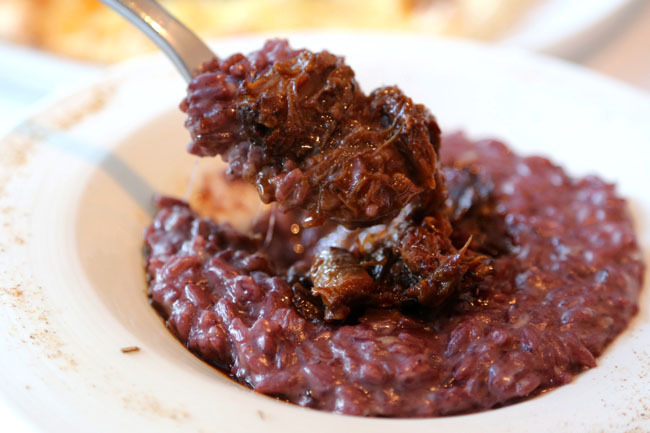 If you want to indulge, the Risotto ($38) that came in a striking dark-purple colour, cooked via distinctly rich and fragrant Barolo Wine, Sous Vide Oxtail and Sweet Saba Reduction, was every mouthful a pleasure of multi-layered tastes lingering in the tongue without being overly cloying. Never had purplish-coloured food taste this good. The Venezian Tiramisu with Bitter Dark Chocolate Flakes ($12) had a rather characteristic look and taste, not being overly-polished with retained some of the homely rustic feel. Always end with a sweet touch at the end of the date. 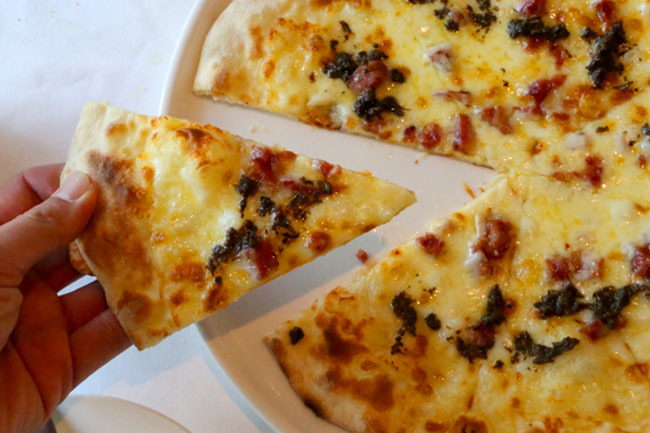 Most of the dishes I had at La Brezza were above average, definitely better than the usual Italian restaurants. The price-point, personally felt disproportionate and could do with some minor reduction, perhaps the main thing stopping me from coming back again and again. 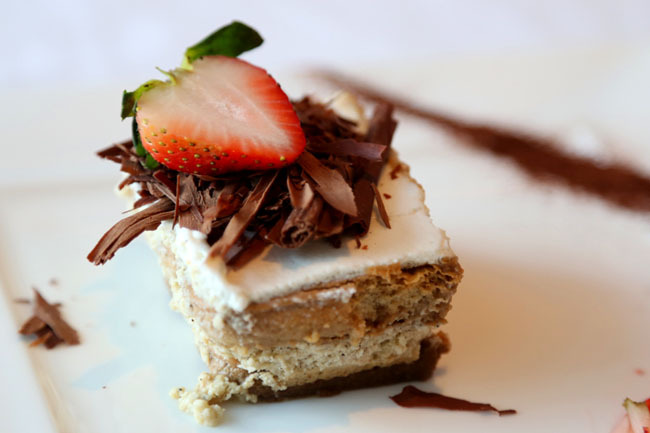 I maintain, that La Brezza is the type of restaurant for that occasional date splurge. This looks like a wonderful place for a meal!